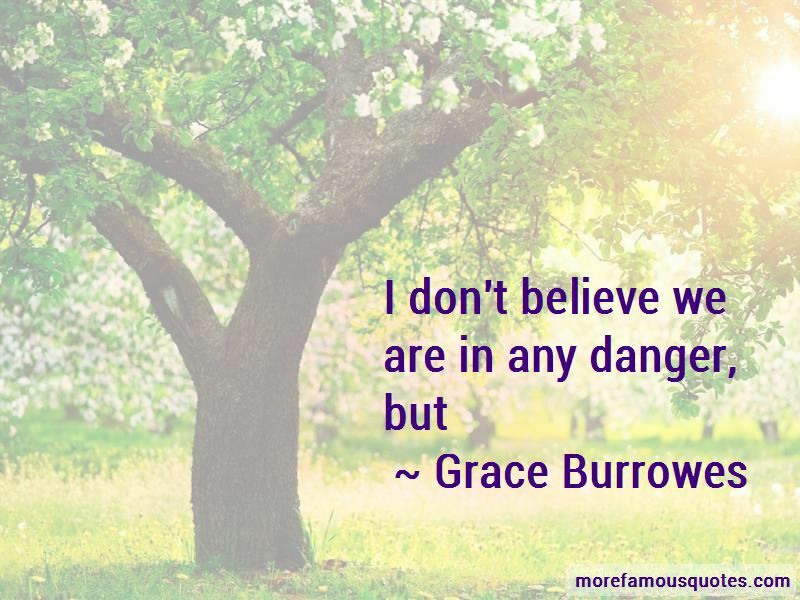 Enjoy the top 37 famous quotes, sayings and quotations by Grace Burrowes. “I love you, he thought, because you are honest with me and because you are willing to speak the truth to me when others might seek to curry favor instead. I love you because you are in this bed with me, not trying to conceive the much-awaited next generation of Windhams, but just holding my hand. “Is this all you want, Anna?" He brought his arms around her and urged her to lean into him. "Merely an embrace? I'll understand it, if you do." “Even when I cried," she said, a world of resignation in her tone, "I was glad to be here with you, Westhaven. Believe that, if you believe nothing else of me." This was wrong, dangerous, stupid ... and necessary to the survival off her soul. “We shall not be indiscreet here in the broad light of day," she said, but she'd left a question in the words when she'd intended a stern admonition. He smiled down at her. "Someday, Gillian, I will have you writhing and moaning in the broad light of day. Outdoors even." "You'd get leaves in my hair." She could afford the humor, because he was behaving. I will serenade you from the street, Maggie Windham. I will be so callow, you will marry me to save me from embarrassment. “Has Westhaven taken to gossiping?" Ye gods and little fishes. “She glanced at him, her expression curious. "When did you decide to call me Maggie?" You worry me, Mags, so self-contained and quiet. Hazelton would not have been my choice for you." 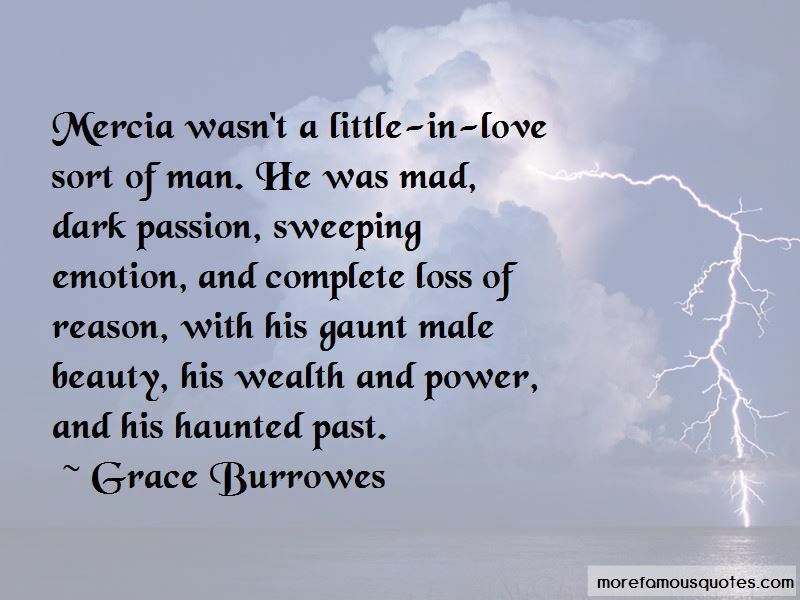 "He's a man who dwells in the shadows and appears to like it there. You have enough shadows of your own." "Maybe he sees me as I really am because shadows don't deter him. “I know what you're doing, though." I don't suppose you told the woman you're arse over teakettle in love with her?" "I did. [ ... ] I went about it all wrong." "There's a wrong way to tell a woman you love her?" "Nearly shouting it at her when she's angry and frightened and looking for excuses to throw your ring at you might qualify. You are such a cheering influence, Michael. Take yourself off to bed, there to dream of the end of the world or whatever gives a nice Catholic boy comfort on a long and cold night. Victor hadn't exactly looked forward to death before, he was probably contemplating it a bit more fondly as the morning progressed. Honorable, Bernita mine. To look after those who can't look after themselves, to attend to duty rather than convenience. You have reminded me of what honor requires, and I'm grateful. That last word-grateful-wasn't one Nita heard very often. “Thank you. Thank you, Noah, thank you, thank you. By sundown, Thea could throw the damned thing with deadly accuracy. At bedtime, she asked if Noah would mind if she slept with it under her pillow every night. He assured her he would not. “You'd call this fellow out, whoever he is?" "In a bloody heartbeat. When this silly house party is over, we're going into Town and buying my duchess a handsome little pistol to carry in her reticule, and we're showing her how to use it. Then we'll explain bullwhips to her, and get her an archery set as well." Harlan took the terrace steps two at a time. "Noah, what are you going on about?" 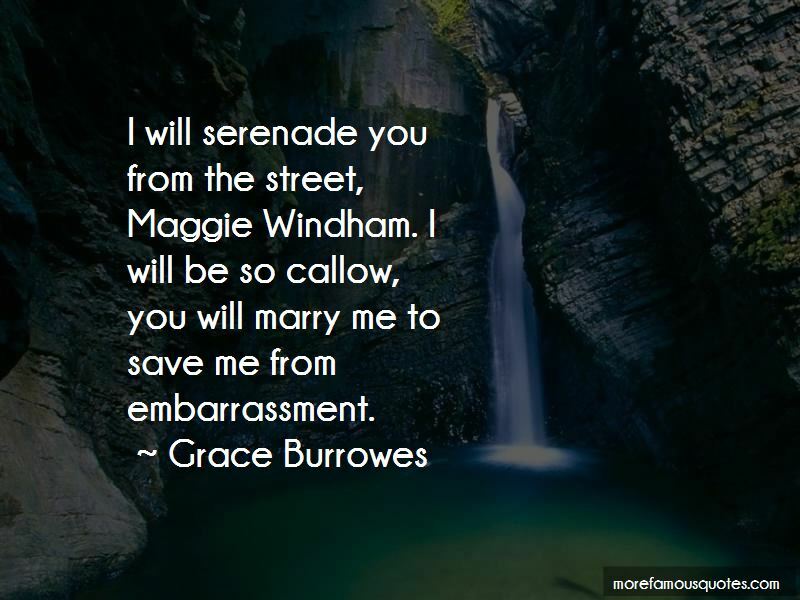 Want to see more pictures of Grace Burrowes quotes? 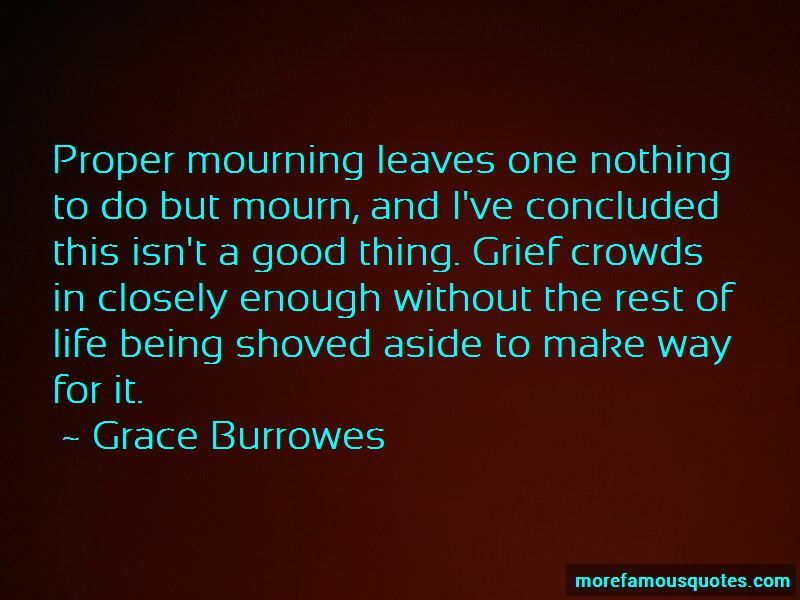 Click on image of Grace Burrowes quotes to view full size.